Jabra Move Style Edition give exceptional wireless sound quality. So you can be sure all your music and movies will sound just the way you like. Earpiece : Double. Earpiece Design : Ear-Cup (Over the Ear). Great set of Bluetooth wireless earbuds. Not used very often as used as secondary set of headphones when needed. Check out the YouTube link below for full details. 1 x Jabra Steel Mono Headset. Pairing passkey or PIN: 0000. Bluetooth compliance: Bluetooth version 4.1. Supported Bluetooth profiles: A2DP(v1.2), AVRCP ABS Only. Hands Free Profile (v1.6), Headset profile(v1.2), phone book accessprofile(v1.0). 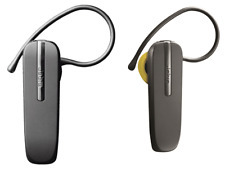 Compatibility: Jabra BT2047 is compatible with other Bluetooth devices with Bluetooth 1.1 (or higher). 1 x Jabra BT2047. Supported Bluetooth profiles: Bluetooth headset profile version 1.1 and hands-free profile version 1.5. JabraPro Telephony Charging Base and Headset (Type 9400BS) Used. Condition is Used. Sent with Australia Post Standard Service. What’s in the box?. 1 Jabra Move Wireless headset, 1 USB charging, 1 3.5mm audio cable, 1 quick start. Supported Bluetooth profiles Headset Profile v1.2, Handsfree Profile v1.6, A2DP v1.2, AVRCP v1.4. >HearThrough: Providing external ambient noise into earbuds for awareness. Bluetooth® standard: Bluetooth version 4,1. Music and Calls: Elite Sport is compatible with all Bluetooth enabled devices, including Apple iPhone, Android, and Windows devices. Switching between calls and music has never been so easy; switch with one touch only. Halo Fusion incorporates Jabra’s signature easy-pairing technology, making your experience even more enjoyable. Jabra Fusion takes calls and music to the next level, in one easy-to-use solution with a comfortable wearing style. Jabra Rox Wireless In-ear Stereo Earbuds Black. When you need to pause, Jabra Rox does too. Once you’re finished using the earbuds, simply snap them together around your neck using exclusive power-saving magnets. 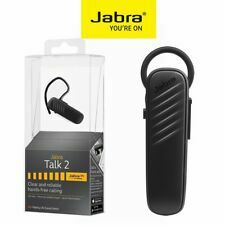 The Jabra BT2045 Black Wireless Bluetooth Monaural Headset features a compact and durable wireless communication device. This monaural headset increases your phone call presence any where you go. Wireless Technology: Bluetooth. 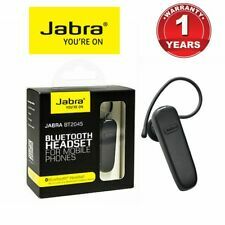 JABRA EASYVOICE Bluetooth Headset. Condition is Brand New. Sent with Australia Post Standard Service. 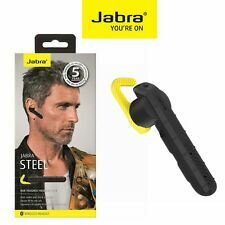 OEM Jabra Style Bluetooth Mono Headset Black/Silver. 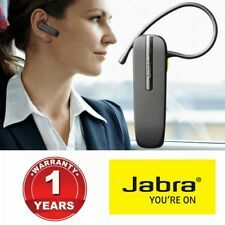 Utilises Jabra HD Voice technology for clear calls. 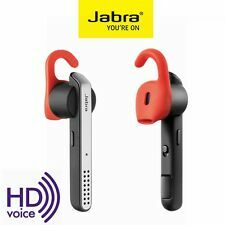 It utilises Jabra HD Voice technology for clearer calls. 1 x Jabra Style Mono Headset. It connects wirelessly to your devices via Bluetooth 4.0 and NFC connectivity. Local pickup is available in Hurstville (NSW) train station ONLY. 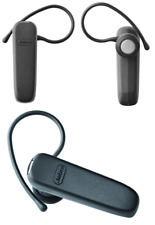 Jabra Sport Coach Bluetooth Wireless Earphones. Just not my thing.. Complete in box with everything as it comes new inc case instructions spares etc As pictured Sent with Australia Post Standard Service. Jabra designs and manufactures earphones and headphones for both music enthusiasts and athletes. They offer a huge product lineup that ranges from in-ear earbuds to professional-grade headphones and Bluetooth receivers. They also provide business solutions like call centre headsets and office headsets that emphasise build and sound quality for lasting value. Small but effective, the Jabra Elite Sport is a completely wireless earbud system that charges when you put them in their carry case. Thanks to the superb audio quality, portability and 4.5 hours of continuous play time, you’re pumped up for longer. On the other hand, Jabra Bluetooth neckband headsets have superior battery life compared to the Elite Sport but at the sacrifice of compactness. A good example, the Evolve 75e focuses on professional sound and comfort with the neckband preventing unseemly tangles to keep things tidy. If you want to benefit from the longest battery life, stick with bigger headphones like the Evolve 75, which can stay active for up to 30 hours with ANC activated. This model in particular also has a stand that doubles as a charging dock for when you step away from your desk. A good middle ground between price and battery life is the Revo Wireless, which are Bluetooth headphones capable of providing 12 hours of listening time with high definition Dolby Digital Plus enhanced sound. Bluetooth signals generally travel effectively at up to 50 metres, but some earbuds have shorter range that larger headphones, so take that into account when you pick your next Jabra cans. For taking calls on the go, Jabra in-ear single fit headsets are ideal and have pretty good range. But since you’ll always have your phone nearby, range shouldn’t be much of an issue in the first place.